To keep up with the competition in the modern world of business, it’s vital to have an online presence. When it comes to looking for services or buying a product, the internet has become the method of choice, meaning that having a business website is the bare minimum. However, adding a regular blog will drive traffic to that website and translate into new customers. 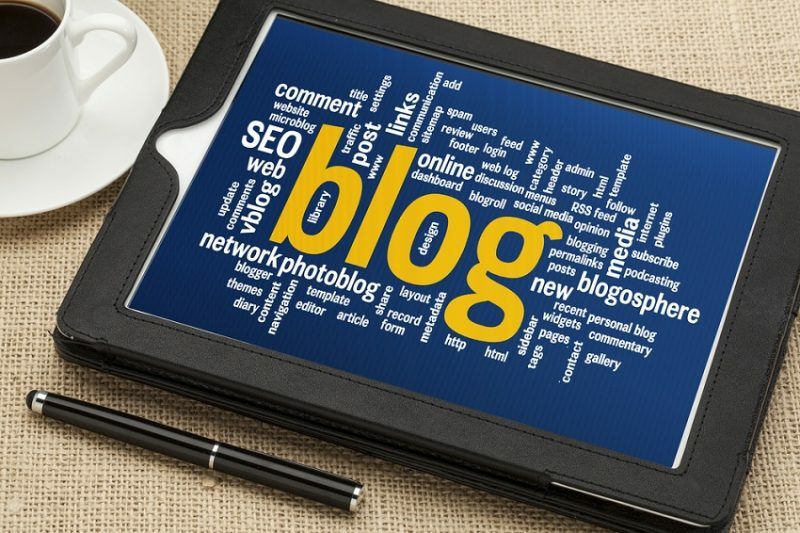 Develop relationships with customers: Having a blog will allow you to connect with current and potential customers. Build trust: Blog posts are a way of building trust in your brand and increasing its influence in your chosen sector. SEO: If you’ve never heard of it, SEO stands for Search Engine Optimization, which is a way of increasing visibility in search engine results. Sharing content: Blogs are made for sharing, and every time your blog is shared, it validates your business credibility. It’s a form of marketing that costs nothing. Connecting: With a blog, you’re able to highlight the personal side of your business and better connect with your clients. The first and perhaps the most important thing to remember about writing a business blog is that you’re writing it for your customers, not for yourself. Before you put your pen to paper, or open a Word document to type, ask yourself “What am I writing about and is it unique? How is it going to help my customers?” Ideally, you should be writing about something that is different than all the others. If the subject is not totally unique, aim to write about it in an unusual way. The blog should meet the needs of your customers. The Bonsai Finance blog is a good example because it clearly explains all the ins and outs of the financial services available. Once you’ve nailed the two questions above it’s time to get down to the writing of the blog. There are five essential elements, regardless of the industry you’re in. This is the hook on which to catch your audience; it doesn’t matter how good the rest of the blog is. If you haven’t managed to capture their attention in the first seven seconds, they’ll be lost forever. The most critical part of your opening will be the headline. Statistics show that 80% of people clicking on a blog will read the headline, whereas only 20% will stick around and read further. The best attack is to stick with a simple headline. You might be tempted to find a comical angle, to be different. However, evidence has shown that being clear, concise and self-explanatory will be more successful. It is a good idea to add images to your blog. Furthermore, a good way to relate to readers is to include images of people. They don’t necessarily have to relate to the subject of the blog specifically, either. Choose images that will evoke the emotion you want. Underneath the images include a caption, as it is a way of keeping a readers’ attention. There is so much information available on the world wide web that you need to be able to set yourself apart. It means that a clear and focused point of view is essential. Using any of the above will establish trust with readers. Include all the above and someone glancing at your blog for the first time will not be intimidated or put off. Put yourself in their shoes. What would you rather read? A post that is made up of long paragraphs and little else, or one that includes images, headlines and bullet lists? Opinions differ when it comes to the frequency of your blog. Some say you should blog every single day. You might even feel the need to blog every day yourself! There are more, however, that say daily blogs are a waste of time. Every couple of weeks is a much better plan. However, there are some occasions when daily blogs could work. It will get you into a steady routine, which is bound to be a good thing. A news-focused blog is better more regularly than weekly, especially if you want your blog to be cutting edge. When it comes to SEO, regular blogs also have their advantages. If you do blog daily, keep them short and vary the format. You’ll also need to plan, so the content you publish is not sub-standard. Running a small business can, understandably, be hard work, and with so many balls to juggle, it can be quite difficult to find the time to develop an online presence. Creating a website and writing a regular blog has become an important part of business success. It can also take up a huge amount of your time, but it doesn’t have to. With the right amount of advice and knowledge of the basics, you’ll be well on the way to success. Blogging is an excellent way to stand out from the crowd, and it is possible to compete with the biggest of your competitors.